The Field of Near-Death Studies Through 2001: An Analysis of the Periodical Literature by Janice Miner Holden, Ed.D., & Rozan Christian, Ph.D.
Book Review: Experiencing the Next World Now, by Michael Grosso • Reviewed by Carlos S. Alvarado, Ph.D.
Book Review: Beyond the Indigo Children: The New Children and the Coming of the Fifth World, by P. M. H. Atwater • Reviewed by Betty Maxwell, M.A. Book Review: Hear His Voice: The True Story of a Modern Day Mystical Encounter With God, by Nancy Clark • Reviewed by P. M. H. Atwater, L.H.D. Letter to the Editor: Scope of IANDS and the journal • Kenneth Ring, Ph.D.
Letter to the Editor: Scope of IANDS and the journal • Jack Selk, M.A. Letter to the Editor: Vincent responds • Ken R. Vincent, Ed.D. What Do Near-Death Experiencers and Jesus Have in Common? The Near-Death Experience and Spong's New Christianity • John C. Gibbs Ph.D.
Commentary on John Gibbs' “What Do Near-Death Experiencers and Jesus Have in Common? The Near-Death Experience and Spong's New Christianity” • Michael B. Sabom M.D. Prevalence of Near-Death Experiences in Australia • Mahendra Perera M.B.B.S., Ph.D., M.D., MRCPsych, FRANZCP, Gayan Padmasekara, & John Belanti, B.S.W. 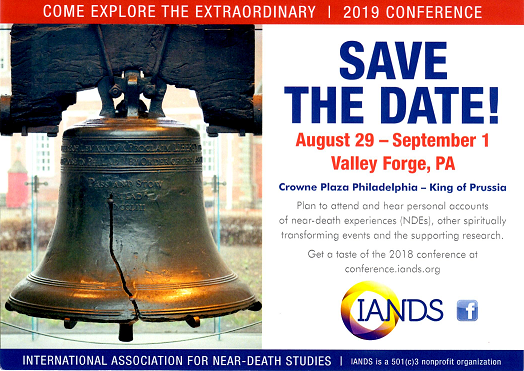 The Universal, Multiple, and Exclusive Experiences of After-Death Communication • James A. Houck Ph.D.
Neglected Near-Death Phenomena • Carlos S. Alvarado, Ph.D.
A Study of Near-Death Experiences and Coping with Stress • Kristin Brumm M.N.M. Experiences of Light in Gay and Lesbian Near-Death Experiences • Liz Dale Ph.D.
Book Review: The Trickster and the Paranormal, by George P. Hansen • Reviewed by James McClenon, Ph.D.
Book Review: Talking with Angel: About Illness, Death, and Survival, by Evelyn Elsaesser-Valarino • Reviewed by Pim van Lommel, M.D. The Divine Light and Ecstasy in Religious and Near-Death Experiences: A Retrospective Glance and a View for the Future • Brian A. Bain, M.A. Book Review: Is There Life After Death? An Examination of the Empirical Evidence, by David Lester • Reviewed by Alexander Moreira-Almeida, M.D., Ph.D.